When Megan of Megan Joy Cakes reached out and asked me to do the florals for her intimate, cozy wedding in Carbondale, I had no choice bet to say yes! I knew that with Megan's attention to detail, the gorgeous color palette, the unique venue choice and the talent of photographer Connie Whitlock and planning genius of Bluebird Productions, this wedding was going to be a stunner. It was such an honor to design for a friend in the industry and I love that Megan and Zack's wedding truly had a look all of it's own that reflected their style and dream vision perfectly. Keeping the PFD journal up to date is certainly not my strong suit, but with the start of the new year, I feel inspired to give it a try! This romantic bridal session with Faith Wright of Winsome and Wright took place last January and it remains one of my favorite to date. This wedding!!! Nestldown, set in the Santa Cruz Redwoods, is truly a dream venue. The bride had such an eye for detail and it all came together beautifully. I miss long summer nights in California and the beautiful light so I was delighted to travel to my home state to design for this wedding. All images by the talented Coco Tran with planning by Going Lovely (such an honor to work with these ladies). See more from this day on Style Me Pretty. This wedding was just...wonderful! Carol was so trusting and had such a beautiful vision. It was so easy to take her ideas and palette and make something beautiful because she let me just run with it! 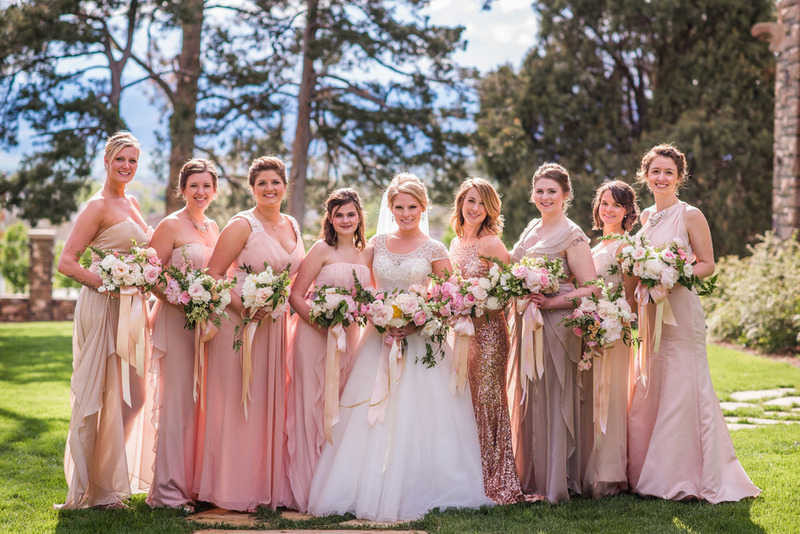 Their intimate mountain wedding last August was so sweet and beautifully captured by Connie Whitlock (and I am still drooling over the amazing bridesmaids' dresses!). See more images from this wedding on Wedding Chicks. Claire was an absolute dream to work with and her small, intimate wedding was such a beautiful one. Alvin and Claire had celebrated with friends and family in a small ceremony in New York and a traditional wedding in Korea. They wanted their East Coast friends and family to get the full mountain wedding experience so they invited them out to celebrate and enjoy the Rocky Mountains during this special summer wedding. All images by Ashley Sawtelle. Now that the wedding season is officially wrapped up for 2015, I thought it was time to start sharing photos from all of these beautiful weddings and the even lovelier brides and grooms! First off, Kellen and Justin's romantic wedding at Highlands Ranch Mansion. All photos by Artessa Photography. Styling and planning by A Vintage Affair.